Commercial Freezers are used to keep your food, fluids, medicines, plants, flowers and other types of perishable goods in a good state. It is crucial to provide it a good repair and timely maintenance to avoid major breakdowns. At Commercial Refrigeration Brooklyn, we understand that keeping your commercial freezers in a proper way is very important for your business and that is why we offer best repair and maintenance services in Brooklyn. Our trained technicians can repair all makes and models of freezers. They are trained in diagnosing and fixing any problem that you may encounter with your refrigeration products. Whether it is an emergency repair, new installation or routine maintenance, at Commercial Refrigeration Brooklyn, we provide the services of expert technicians who help in keeping your business running and also protect your investment. 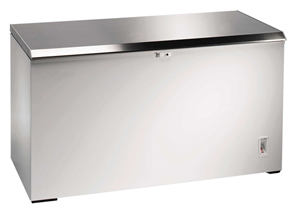 For any of Commercial Freezer’s repairing and servicing, you can trust our services. As for us, no job is minor or major. From under-counter freezer to huge walk-in commercial freezers, we offer the best services at competitive prices. We truly understand the requirements of commercial freezer in many industries and thus we make sure to reach soon to our customers to provide our services. No matter at which corner of Brooklyn you stay, just give us a call and our technicians will arrive you as soon as possible. Our services are recognized in Brooklyn so next time when you are looking for new installation of commercial freezer, or if commercial freezer is troubling you, then do not wait for major breakdown, give us a call and our technicians are there at your doorstep!